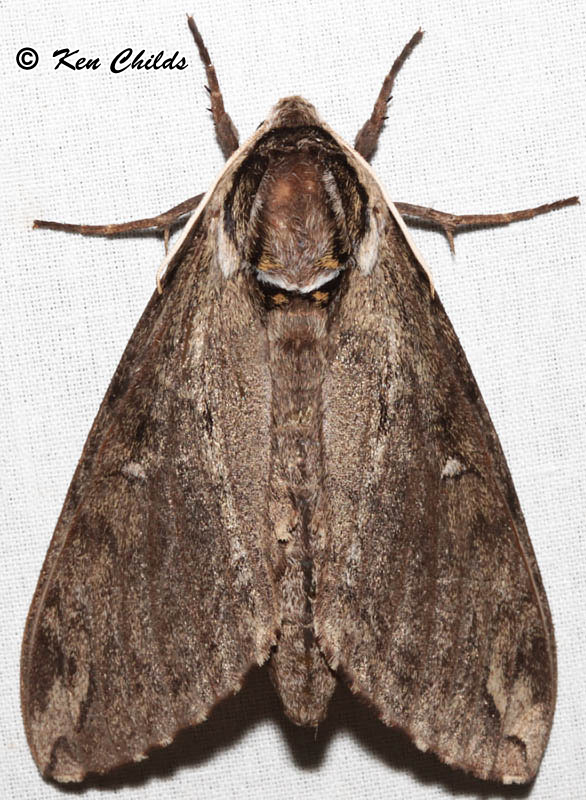 Identification: Forewing is yellowish brown with no white markings and indistinct black lines and dashes. Cell spot is gray with a black outline. 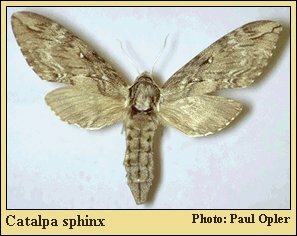 Hindwing is yellowish brown with obscure lines. Wing Span: 2 9/16 - 3 3/4 inches (6.5 - 9.5 cm). 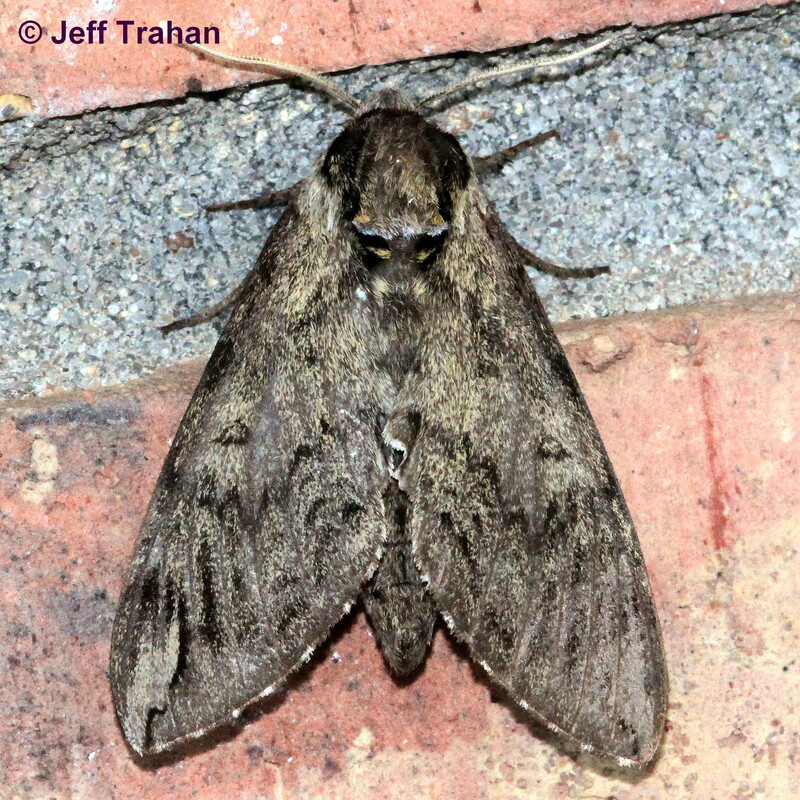 Life History: Adult moths fly at night. Females lay large clusters of eggs on the underside of host leaves or smaller clusters on twigs and branches. Young caterpillars feed together in groups; older ones feed singly. Fully-grown caterpillars crawl down the tree trunk to pupate and overwinter in chambers dug 2-3 inches into the soil. 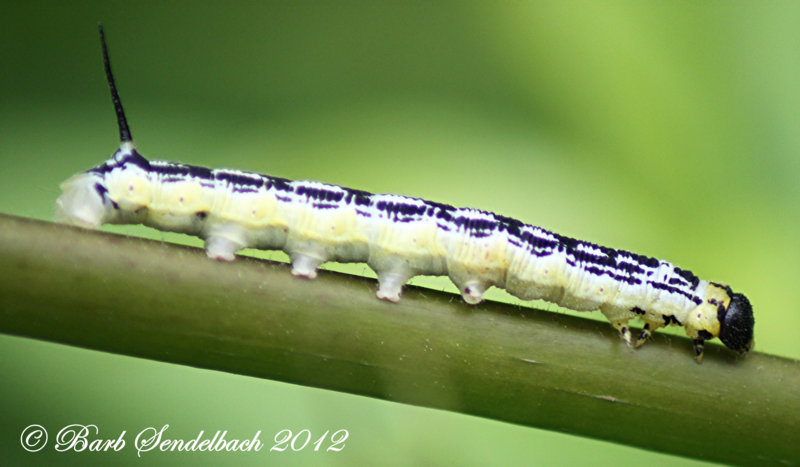 Caterpillars are often parasitized by a wasp, Apanteles congregatus, which lays its eggs inside the caterpillar. The caterpillar eventually dies as the wasp larvae feed inside it. Flight: . Two flights from May-September. Caterpillar Hosts: Catalpa species in the Bignoniaceae family. Adult Food: Adults probably do not feed. Habitat: Deciduous woodlands and suburban plantings. Range: Eastern states from Maine west to Iowa; south to Florida, the Gulf States, and Texas. Also Colorado and Nebraska. Comment: Caterpillars are used as fish bait in the Southeast. 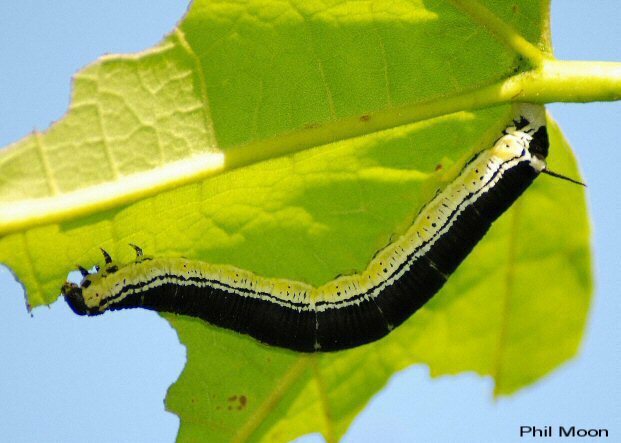 Management Needs: During outbreaks, caterpillars can defoliate catalpa trees.